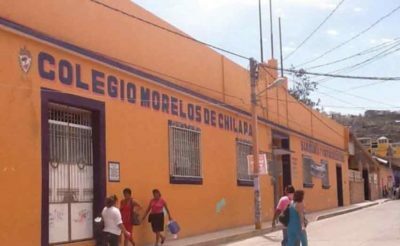 Chilpancingo (Agenzia Fides) - Morelos de Chilapa Catholic school was closed after the nuns who ran it, Hermanas de Guadalupe, left the place: says the Bishop of the diocese of Chilpancingo-Chilapa, Guerrero (Mexico), Mgr. Salvador Rangel Mendoza, OFM to Agenzia Fides. The abandonment of the nuns is due to the fact that parents and one of the sisters of one of the nuns were executed, the prelate said, expressing concern and bitterness. The school welcomed 500 young people between primary and secondary school, who will now remain without school education. The diocese of Ciudad Altamirano also sent a statement to Fides that expresses solidarity with the diocese of Chilpancingo-Chilapa and with the Archdiocese of Acapulco after the episodes of violence that caused entire families from the area to escape. "In recent days there have been many murders: the policemen in San Miguel Totolapan; the relatives of one of the nuns belonging to the religious congregation that administered the Morelos school in Chilapa; on 5 February, the murder of Father Iván Añorve Jaimes of the Archdiocese of Acapulco and of Father Germaín Muñiz García of the diocese of Chilpancingo-Chilapa, the teacher who accompanied them and many other innocent people. The Lord calls us to meditate on the value of life and peace. We ask the authorities to carry out an in-depth investigation, to identify the perpetrators of all these violent actions and to apply the sanctions provided for by the law", reads the statement sent to Fides.